When investing in an oversized coat there are a few things I'd recommend taking into consideration... Whilst I am currently getting a lot of oversized pieces; I'd recommend not wearing everything oversized at once. 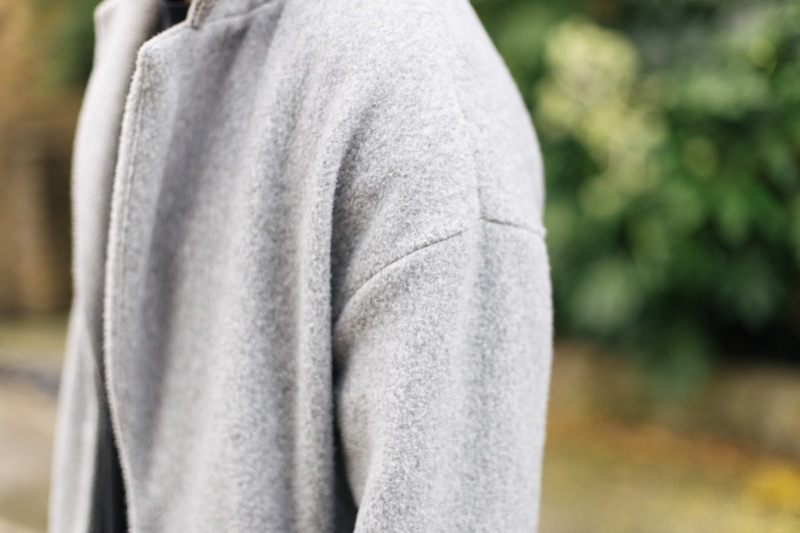 Keeping the rest of your layers streamlined and tailored to maintain proportion is key. 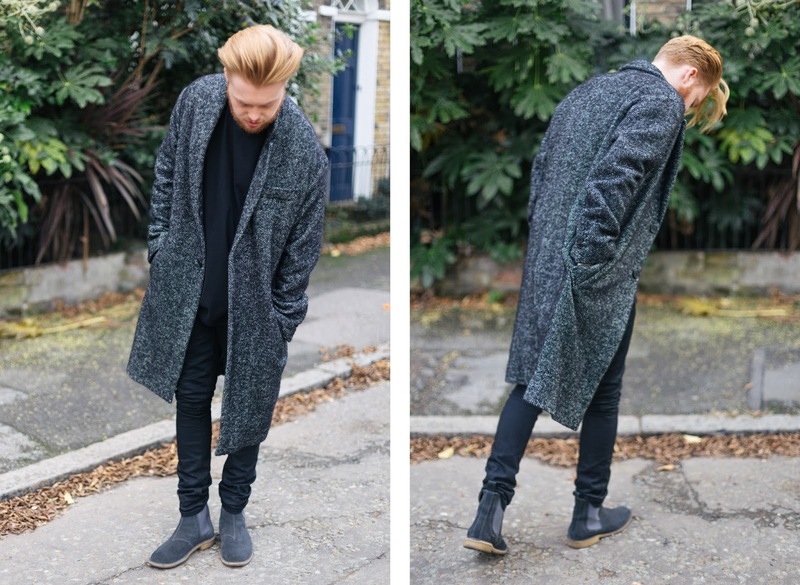 I've chosen my three favourite oversized overcoat's for this season and made sure to select a range from the high street to contemporary high end. 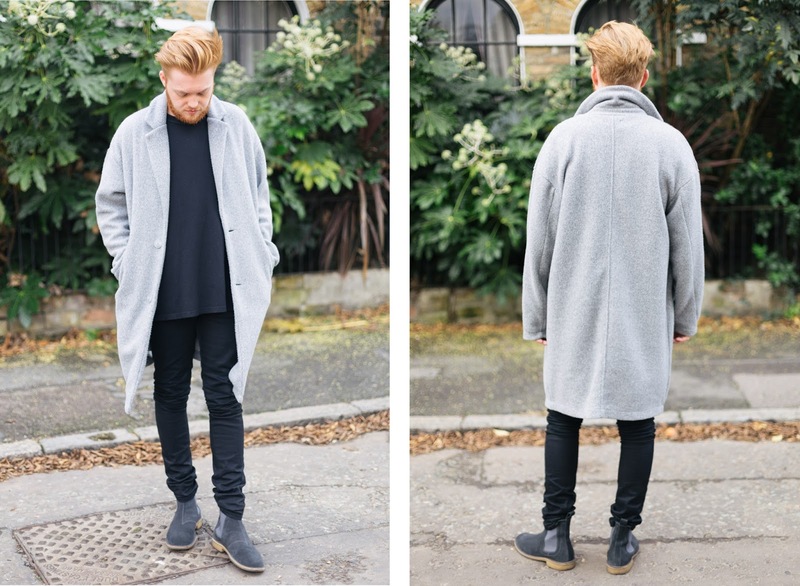 I have gone for a very simple look, almost a blank canvas if you will, to fully showcase the statement overcoats. 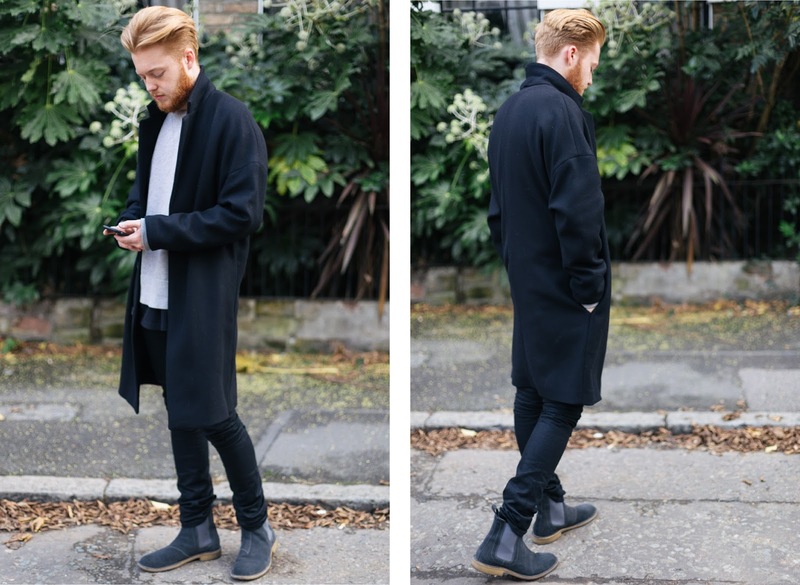 I've kept my denim fitted and paired them with my current favourite chelsea boots; a tapered leg and a chunky sole to help the statement jacket stand out and look proportional. 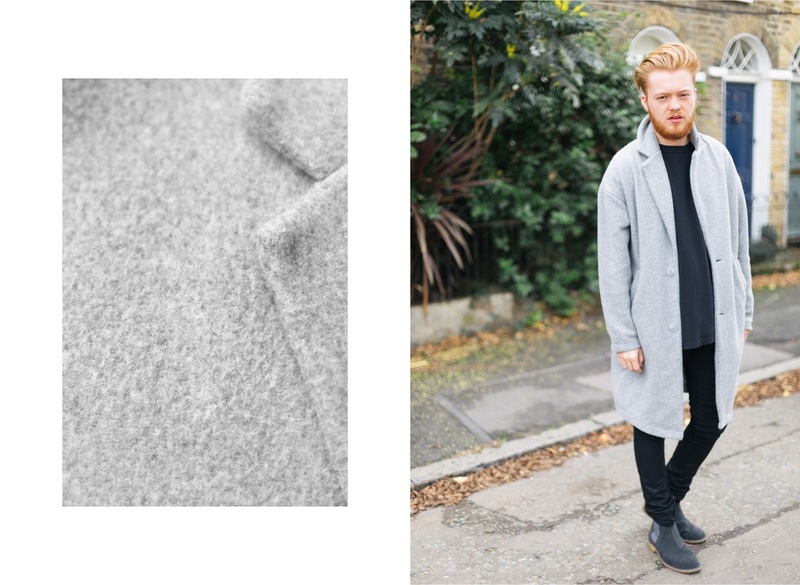 This unlined, felt, oversized outerwear from high street giant Zara is a suitable transitional piece which I've been rocking since early Autumn; worn over some cosy knitwear, this would make the coat safe for the colder christmas weeks also. Despite my overwhelming dislike for the majority of Zara's menswear collection's (or shall I say any designer collection's that Zara has mimicked...poorly), I have received endless compliments on this coat. Featuring a drop shoulder and a slouched modern look, it still has smart tapered sleeves and a slim bottom. This coat is easily thrown over dark layer's to complete the contemporary look. Made from a wool-mix, in typical COS fashion, this very contemporary unlined jacket boasts an extremely exaggerated drop-shoulder seam. 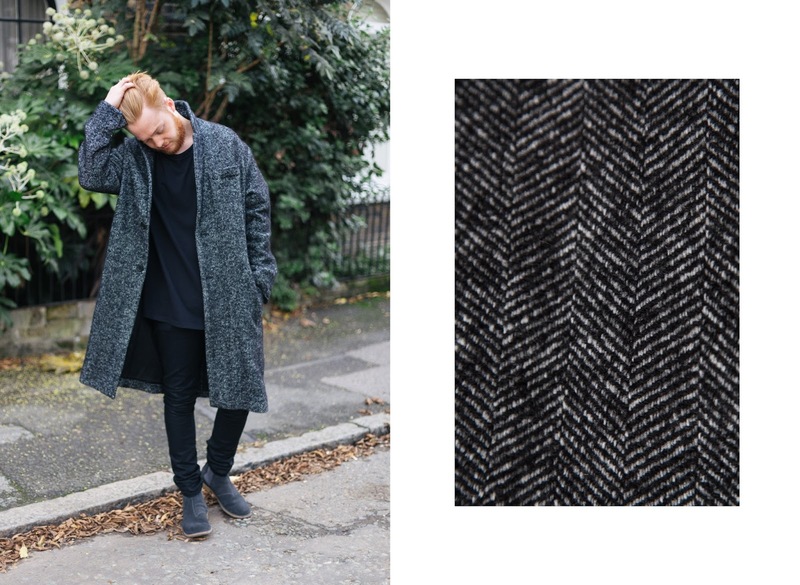 Embracing the modern look to the maximum, this oversized coat is a extremely relaxed, yet a lot more structured than the Zara coat making it very similar to a traditional overcoat in terms of the structured/rigid wool-mix. For this look, I kept the same simple outfit, however, due to the black coat I threw over a classic raglan grey sweatshirt to break up the black tones and showcase the jacket fully. 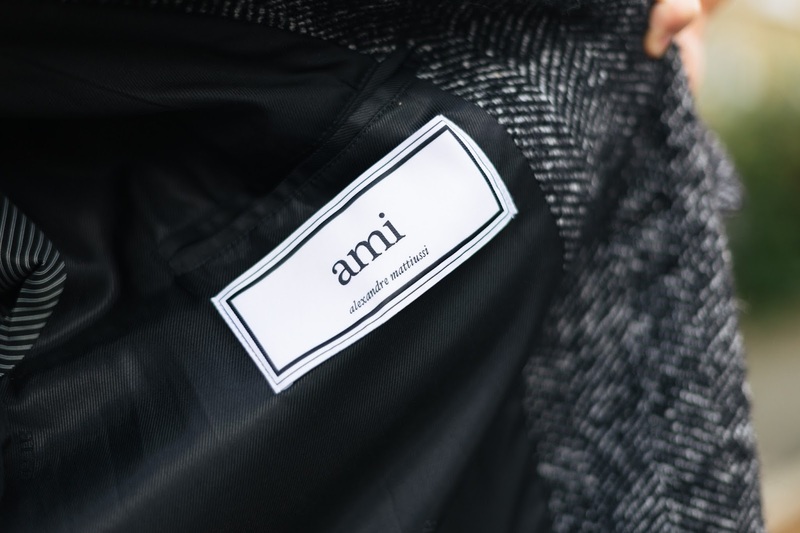 I've always been in the knowledge of AMI's existence, but it wasn't until my trip to Paris last month where I truly fell in love with the brand. I could have happily stepped out of the store head to toe in Alexandre Mattiussi's own label. Considering the incredibly young age of the brand, the quality of every garment I tried on was superior to any of its competitors. AMI is also priced extremely fairly; quality and price, two things that I have recently been disappointed by from my 'go-to' designers. In Paris I picked up an oversized turtle neck (which I will be sure to post soon) as well as this oversized overcoat from the affordable luxury Parisian brand. 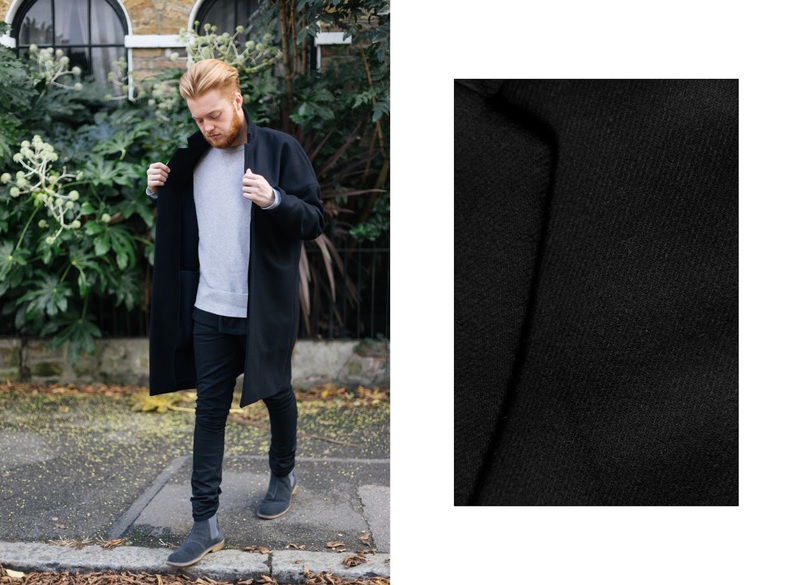 This great overcoat is made from a 'Emmetex' luxury Italian wool blend, and is completely lined making this coat the warmest out of my selection. The oversized two button silhouette comes in grey, navy and black as well as two slightly more statement versions, a bold black/off white check and the black/white herringbone version which I opted for. 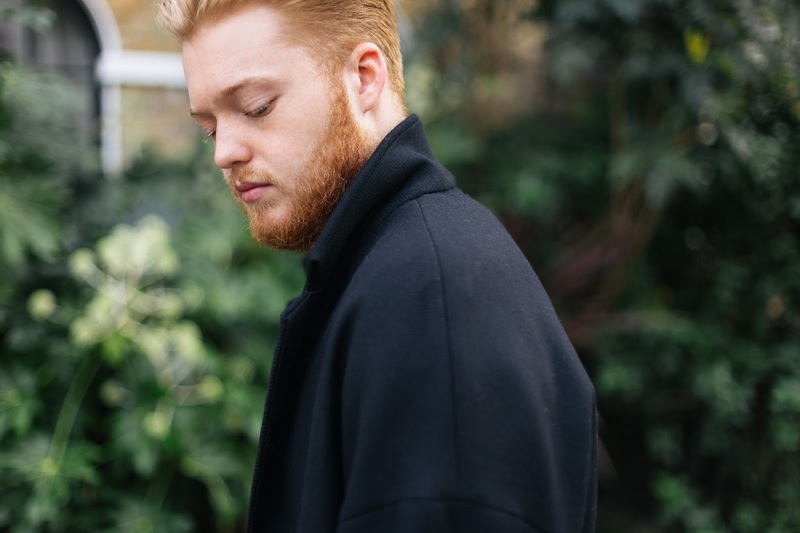 Alexandre Mattiussi's oversized overcoat executes the contemporary oversized silhouette perfectly by maintaining traditional elements: an elegant notch lapel collar, buttoned sleeve cuffs and being made in a luxurious wool blend whilst embracing the subtle relaxed offset shoulder seems and oversized draping. Nice exhibition with some very choice pieces showing good price-variety. However, you should really proof-read your writing before you post it; there are a few glaring errors which detract from the otherwise-professional nature of this post. The Cos one is so good! Great coat, couldn't recommend it more! Shame it's sold out everywhere.